A NATO E-3A Sentry has been given some cool tiger markings in anticipation of NTM2017. 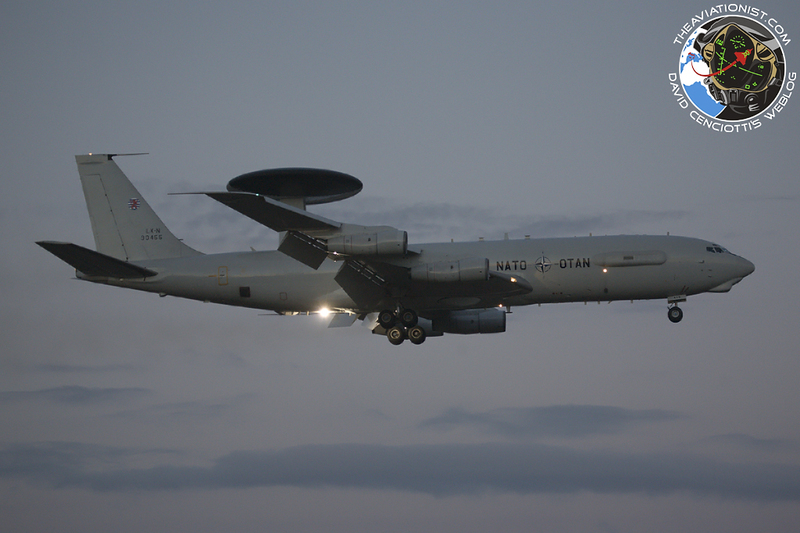 A full member of the NATO Tiger Association since 1984, Flying Squadron 1 belonging to the NATO E-3A Component of the NATO Airborne Early Warning & Control Force (NAEW&C Force), will take part in NATO Tiger Meet (NTM) 2017, at BAN Landivisiau, France, from Jun. 5 to 16. NATO Tiger Meet (NTM) is an annual two-week multi-national mid-size exercise that gathers squadrons sporting Tiger (or feline) emblems and thus includes all types of air-to-air and air-to-ground and a wide variety of support missions, comprising CSAR and large COMAOs (Composite Air Operations). The most peculiar feature of the meeting is the fact that the planes that attend it, (often) get painted in spectacular, flamboyant tiger outfits, making the event a treat for all aviation photographers. In anticipation of NTM 2017, that the unit will support from its MOB (Main Operating Base) at Geilenkirchen, Germany, the NATO E-3A Component has given one of its Sentry some interesting Tiger markings. Indeed, as the photograph in this post show, the aircraft LX-N-90458 sports some brand new tiger stripes with the Tiger Association’s motto “Hard to be Humble” along with a pretty cool artwork that covers most of the rotodome’s left pylon. The artwork applied to the E-3A rotodome’s left pylon (credit: NATO).